It looks like Diana Prince will be taking on her original rival once again. A French publication revealed that Ares, god of war, would be the main villain in the upcoming Wonder Woman film, harkening back to Wonder Woman’s origins. Ares first appeared in Wonder Woman #1 in 1942 as the primary villain to Diana’s Wonder Woman. The god of war has gone through drastic changes in his 75 years in the DC universe, so predicting Ares’s exact demeanor and appearance in the upcoming film will prove difficult until more information is provided by Warner Bros., or until a casting announcement is made. So, who is Ares in the world of Wonder Woman? DC’s New 52 reboot depicted Ares as an old man with a long, white beard, his feet and calves permanently stained with blood. Later, Ares was often referred to as “War” and was shown as a much younger man with a red beard. Most commonly, he’s been an intimidating figure dressed in blue and black battle armor, his red eyes glowing from beneath his helmet. 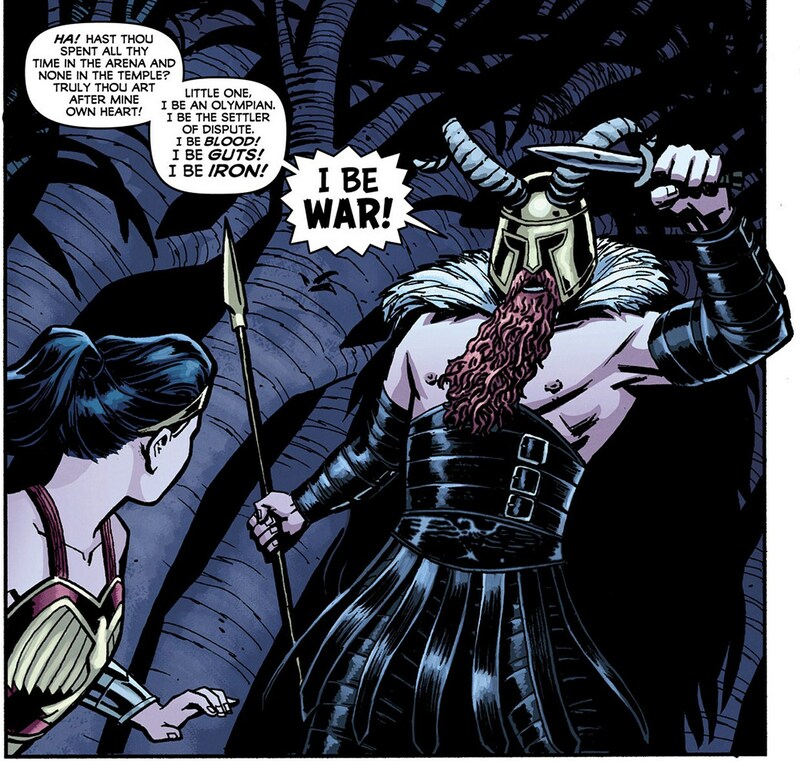 It was revealed in the stand-alone issue Wonder Woman #0 (2012) that Ares was once Diana’s mentor, proving that her relationship with the god has been (and always will be) complicated. Much like all the immortal gods in Wonder Woman’s storylines, Ares holds great power. The god of war is, predictably, a strategic mastermind, and can change his appearance at will as well as teleport anywhere. In the New 52 continuity, his mere presence incites violence, the people around him often breaking out into fights or riots. Obviously, a god who inspires violence is a bit of a problem when the world is already in the throes of World War I. For a period of time, Ares was ruler of the underworld after the death of Hades and did his best to destroy the Amazons. Aphrodite, patron goddess of the Amazons, swore that her people would stop Ares’s hate and violence from taking over the world. 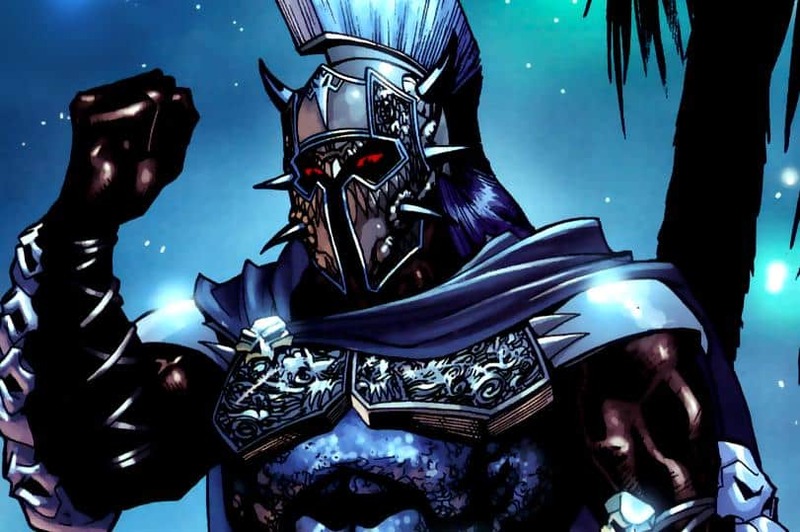 There are a lot of other things — time travel, various dimensions, and possession, to name a few — but the gist of it is: Ares is a complicated character with deep ties to Wonder Woman, making him an excellent figure for the main villain in Wonder Woman.